Conveniently situated one mile south of downtown Panama City, Florida, this contemporary hotel offers convenient amenities and comfortable guestrooms 5 miles from the Panama City-Bay Country International Airport. Red Roof features an outdoor pool for a refreshing afternoon swim. After a day of exploring the area, work out in the complimentary fitness center. Coin laundry facilities are also available. The comfortable guestrooms at Red Roof Inn provide complimentary ESPN, CNN and Showtime. Movies and video games are also available for a small charge. Directly on Highway 231 and minutes from stunning beaches and the Gulf of Mexico, this Panama City hotel is close to exciting attractions and offers an on-site restaurant. The Hilton Garden Inn Panama City features an ideal location only a short drive from Tyndall Air Force Base and downtown Panama City. Pier Park, a vibrant area filled with shops and restaurants is also nearby. Guestrooms at the Panama City Hilton Garden Inn are furnished with microwaves and refrigerators as well as free high-speed internet access. The hotel also offers on-site dining at the Great American Grill restaurant for breakfast and snacks at the 24-hour convenience store. Off Highway 231, this hotel is just a half-mile from Panama City Mall. It features an outdoor pool, a daily breakfast and a business center. Guest rooms include free Wi-Fi. A flat-screen TV and a work desk are furnished in each room at Hampton Inn Panama City/Panama City Mall. The traditionally styled rooms feature warm colors. Coffee-making facilities and a clock radio are included. Guests at the Panama City/Panama City Mall Hampton Inn can work out at the on-site fitness center. Guest laundry facilities are also available. This hotel is about 11 miles from Panama City Beach and boardwalk. Panama Country Club is less than a 15 minute drive away. Located in beautiful Panama City, Florida, this hotel is a 15-minute drive from Panama City Beach. It features on-site dining, an indoor pool and jacuzzi, and free Wi-Fi. Each classic guest room at Holiday Inn Select Panama City is equipped with blackout curtains and furnished with a microwave, refrigerator, and coffee maker. Cable TV and a work desk are provided. A gym and sauna are part of this Panama City hotel. Laundry and dry cleaning services are available. Mamma Mia's, located in the lobby of the Panama City Holiday Inn Select, is open for breakfast and dinner. Chances R Lounge boasts a full-service bar, billiard tables, and dart boards. Downtown Panama City and the Martin Theater are 2 miles from the hotel. The Marina Civic Center is within a 10-minute drive. This hotel is located in Panama City, 8 miles from Shipwreck Island. It has an outdoor pool, and offers spacious rooms with free Wi-Fi and cable TV. Rooms at the Courtyard Panama City include a work desk and ergonomic chair. They come equipped with a coffee maker, and ironing facilities. Some rooms include a sofa bed. In the morning guests can enjoy a healthy breakfast buffet at the Courtyard Café. The Panama City Courtyard also offers local restaurant dinner delivery. The Courtyard Panama City is 6 miles from Emerald Falls, and 8 miles from Panama City Beach. Nearby leisure activities include bowling, surfing and sailing. This all-suite hotel in downtown Panama City offers spacious suites with full kitchens within 4 miles from Panama City Bay Airport. It features an outdoor pool and a gym with hot tub. All units feature separate living areas with a sofa bed. The Home Office with movable desk, shelves and free Wi-Fi provides efficient work space. A flat-screen TV and in-room coffee maker are also available. TownePlace Suites Panama City serves a continental breakfast each morning. Guests can prepare their own meals in their modern, private kitchens with a stove top and microwave or use the hotel’s grill area. A coin-operated laundry room is available for added convenience. The on-site business center offers an overnight delivery service as well as copy and fax services. Panama City Square and 23rd Street Station Malls are both 1.5 miles from this Panama City hotel. Panama Bay County International Airport is just a 10 minute drive away. Free on-site public parking is available. 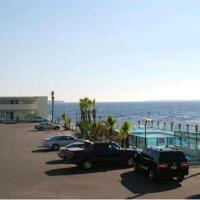 Located 2 miles from downtown and one mile from Panama City Mall, this hotel features a seasonal outdoor pool. Rooms are equipped with a refrigerator and free Wi-Fi. Super 8 Panama City offers air-conditioned rooms that are furnished with a microwave and cable TV. For added convenience a coffee maker, clock radio and telephone are provided. A daily continental breakfast is served in the morning at Panama City Super 8. The hotel has a 24-hour front desk and fax/copy services are available. Shipwreck Island Water Park is 11.5 miles from the Super 8. The hotel is a 16-minute drive from Zoo World and Signal Hill Golf Course. Located 1 mile from the Panama City Mall, this hotel is a 7-minute drive to central Panama City. It features spacious rooms with free Wi-Fi and serves a daily continental breakfast. A flat-screen cable TV and coffee making facilities are standard in every modern room at Microtel Inn & Suites by Wyndham Panama City. All rooms include a window seating area and air conditioning. Free access to the seasonal outdoor pool is provided to all guests of Microtel Inn & Suites by Wyndham Panama City. Parking is also free on site. Signal Hill Golf Course is 10 miles from the hotel. Zoo World and Panama City Beach are both a 15-minute drive away. Located off Highway 98, this Panama City motel is next to Gulf Coast Community College. It features an outdoor pool, barbecue facilities and a game room. A cable TV and a small seating area is provided in each pet-friendly room at American Quality Lodge. The simply styled rooms also include a microwave and a small fridge. Lodge American Quality is less than 1 mile from Gray Park and several other area beaches. Panama City Mall is less than 15 minutes’ drive away. The Buccaneer Beach Motel is located on the shores of a private beach, less than 1 mile from the Marina Civic Center. This hotel features an on-site bar and outdoor pool. Free Wi-Fi and cable TV are included in each guest room of this Panama City hotel. Guests will also enjoy the added convenience of a microwave and refrigerator in each room. A launderette is on site at the Panama City Buccaneer Beach Motel as well as a fitness centre. Guests can also enjoy on-site fishing and kayaking. This hotel is 15 minutes’ drive from Tyndall Air Force Base and 1 mile from McKenzie Park. Panama City Beach is 9.5 miles away. Conveniently located off of Route 231, this Panama City property provides breakfast and free Wi-Fi. A year-round outdoor pool is available. St. Andrew’s State Park is a 25-minute drive away. A flat-screen cable TV is featured in rooms at La Quinta Inn & Suites Panama City. A work desk is provided in each simply furnished guest room. Free toiletries are available for added convenience. Cereal and waffles are provided for breakfast at Panama City La Quinta. Bagels, pastries, coffee, juice and fresh fruit are also available daily. An on-site fitness center and a hot tub are located at La Quinta – Panama City. Laundry facilities and express check-in/check-out are provided at this air-conditioned property. Panama City Beach is a 20-minute drive away. Marina Civic Center is 3 miles from La Quinta Inn & Suites Panama City. Located 5 miles from Panama City Beach, this Florida hotel features an outdoor pool, continental breakfast, and free Wi-Fi. Florida State University Panama City Campus is a 2 minute walk from the property. A cable TV, microwave, and small refrigerator are included in all guest rooms. Hathaway Inn provides coffee-making facilities as well. After a long day at the beach, guests can read email in the business center. A fitness center and free on-site parking are also offered at this North Florida Hathaway Inn. A laundromat is available for added convenience. The hotel is an 8 minute walk from Saint Andrews Bay. Guests will find water sports and nature trails 6 miles away at Saint Andrews State Park. The Suburban Extended Stay Hotel in Panama City FL is less than two miles from the Naval Surface Warfare Center Panama City Division military facility. Local points of interest like Tyndall Air Force Base, Florida State University Panama City, Zooworld Zoological and Botanical Conservatory and Shipwreck Island Waterpark are all easily accessible from this Panama City, FL hotel. The Panama City area boasts more than 27 miles of beaches along the Gulf of Mexico and St. Andrews Bay. From snorkeling and swimming to fishing and boating, this area has it all. Several entertainment venues, landmarks, shopping centers and restaurants can be found in the surrounding area. This extended stay hotel offers features and amenities, including well-equipped kitchens, weekly housekeeping services, free wireless-high speed Internet access, free local calls, exercise room. Guests of this Panama City, FL hotel can take advantage of the conveniences provided in the on-site business center like access to copy and fax services.